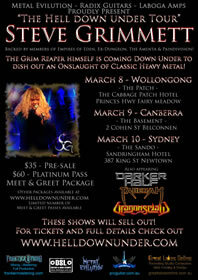 For the first time, Steve Grimmett will appear live on stage in Australia during March 2012. As one of the leading voices of 80's heavy metal Steve's body of work is breathtaking, as lead vocalist for Grim Reaper, Lionsheart, Onslaught, Empires of Eden and touring internationally with his Steve Grimmett band. The material performed will cover his entire career. Along with Steve is a band selected from the crème of Australian heavy metal talent featuring members from Paindivision, Ex-Dungeon, Empires of Eden, Dragonsclaw and The Amenta. Special guests will include the rising stars of Australian heavy metal Darker Half, Tasmanian power metallers Taberah and Sydney Based Dragonsclaw. Special early buy tickets are available now for $35 - these will sell out! 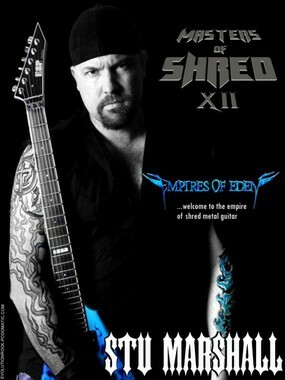 Empires of Eden & Radix Guitars! 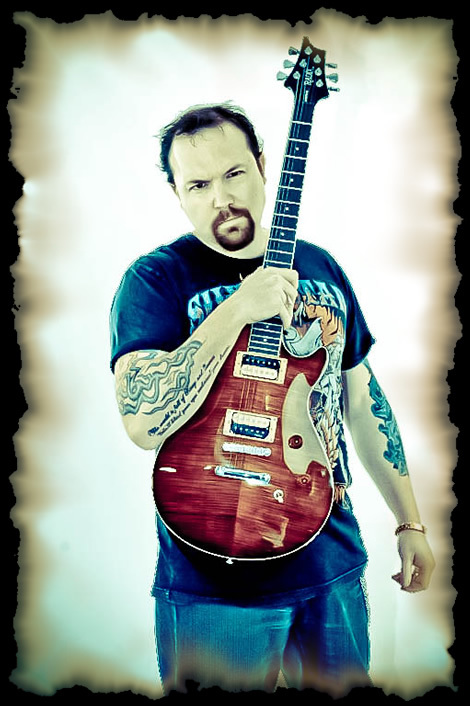 Empires of Eden guitarist/producer "Stu Marshall" announces new partnership & endorsement with RADIX GUITARS. Stu Marshall states: "Working with Radix has been a great experience with some talks on a custom signature (Stu Marshall) model for the future. After a 6 year relationship with another company, the move to radix was an easy decision after viewing the quality and the people involved. These are amazing guitars that are going to alter the way players think about instruments." 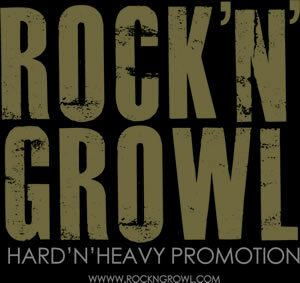 Empires of Eden sign management deal with Rock 'n Growl promotions! I’m very excited to announce that Empires of Eden has joined forces with Rock N Growl management based in Germany. Empires of Eden, while a large collective, is very interested in touring through Europe and the USA. Can you imagine 8 incredible singers on stage screaming and delivering an intense set of metal tracks and classics? It’s something we all want to do and we hope to bring this to you. Halfway through August and year is kicking ahead. 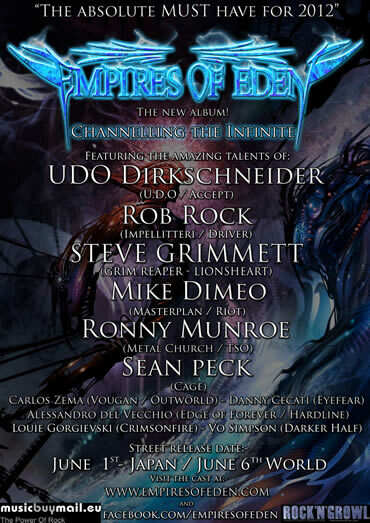 Empires of Eden has just signed to Rock N Growl Management based in Germany, their contact details are on the site. I am very pleased to be working with the guys there and hope to bring Empires of Eden to live touring in 2012 / 2013. The Ronny Munroe (Ex-Metal Church) solo cd has just completed. Working with Ronny is one of those rare pleasures and I do think this album will open a lot of peoples eyes (as if it wasn't already) as to the width of incredible talent the guy possesses. As well, the cd features some of my most challenging guitar parts yet, and I am really happy with the end result. Leading up to my trip to the US in October, I'll finishing mixes for two bands - "Dragonsclaw" and also Sydney based "Nobody's Fool". It really amazes me the talent we have in Australia, I know both albums are going kill. All of the above news is leading into the commercial launch of my studio "Frontier Studio", located in the southern hills of Sydney. More on that later. This weekend I'll be cutting a range of videos for a new endorsement I have secured with "Radix" Guitars. The videos will be three minute showcases of their models with some brief lesson content as well. Check em out on Youtube soon, I'll have the links here once they are live. It's an exciting partnership and they make incredible tools of expression. In October I'll be in the USA from the 13th until the 27th, if your in the states, drop me a line as I'll be doing some shows with Cage and working on a few other cool things stateside. I'll also be meeting with some singers for the next cd and compiling, what will be a documentary DVD for Empires of Eden. This project is truly global and I have some incredible footage of these artists just pouring their soul and talent into some special material. I have always wanted to see the workings of recording and I guess, the journey, of my favourite bands. Through the US trip I'll be uploading the shots to Facebook, so check out Empires of Eden and also Stu Marshall on FB. Some major updates here. I have been on holidays for the last two weeks in the incredible islands of Vanuatu. It's a been a much needed break and my focus is working on the 3rd Empires of Eden cd. For the next album I have secured some of my all time favorite singers and one metal legend who has never done anything like this before. It's very exciting. The focus with the material I am writing is offering a more expansive musical base, so there's some heavy stuff and also some great melodic rock. The guest list? I can't say yet but get set for an incredible display of some of the worlds best metal vocalists. So, after two weeks of sunning in the tropics I have found my playing has altered in a more progressive fashion, I just can't explain it. 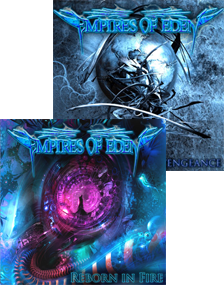 Remixing of the debut Empires of Eden cd is going to happen, all before heading to the states in October to meet with many of the singers from the last album. An exciting year ahead. A special thanks to everyone sending through emails and the recent press. Keep them coming. I'm sorry for the lack of updates. I have been a studio based recluse since January and for good reason. 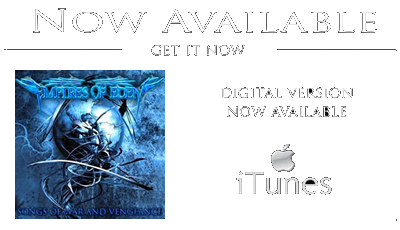 I have had the good fortune to be co-producing / writing an album with one of my favorite metal singers and the result?.. well, lets leave that to your ears. Who is it? I have to keep this information to myself for the moment due to the promotional schedule, but suffice to say, it's been an amazing pleasure. I have also written much of the music on the album and handled guitars, bass, orchestral work and drum programming – I am really laughing as it sounds intense, but I can say its been a lot of fun. There will be much of this mentioned in the coming months. The last few months has also seen the loss of my father, Jeff Marshall. He was one of the great men and my best friend. He will be missed deeply. So as you can gauge it's been quite a ride. Add to this the third Empires of Eden cd is in planning and I am busting at the seems to reveal the guest list – again, that will have to wait. I can mention however that the guest list is locked and confirmed, so get ready. This is going to be very heavy! Evolution rock has just finished a special on the new Empires of Eden album Reborn in Fire, with a feature in the 'Masters of Shred' series with Stu Marshall. 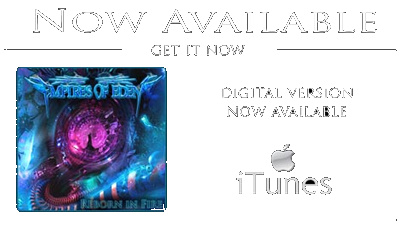 Empires of Eden have released a new iTunes app. Be one of the first to download this great little application. Keep up to date with EoE competitions and giveaways. It's FREE! CDs available from our Online store. Click below to enter.